Climate Central has posted a terrific calculator. 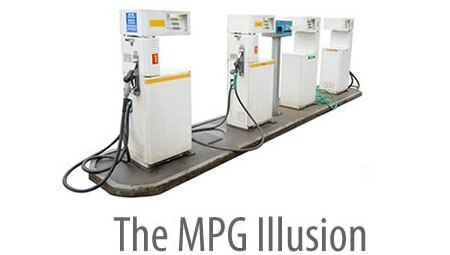 Use the calculator below to plug in your own information (driving distance, state, current mpg, possible mpg improvement) and learn the gas savings, cost savings, and CO2 reduction of different improvements in MPG. You can use the embedding code at the bottom to install the widget on your own website. Here is a link to the original post.